We try to ship your order within 7 work days, don't be upset if there is a little delay, we all have a daytime job. Just email mail@karabooza.com with the name and email address used for the order. 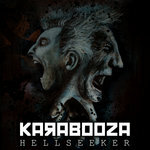 Please email mail@karabooza.com. If the order is still pending, we can change it, just please provide your PayPal transaction ID (you can find it in your receipt from PayPal, or by logging in to your PayPal account). If the order has already shipped, you will be notified when/if the order is returned. If you do not respond within 2 weeks, we will return the item(s) into our stock and refund the full amount of the order, less the shipping, and credit card transaction fees. If your package is re-shipped, you will be responsible for any additional shipping charges. Exchange Only Return Policy. 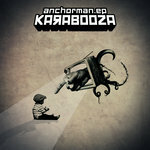 If there are any problems with your purchase, please email mail@karabooza.com with the subject line: Bandcamp Return.